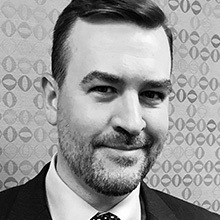 K. Brent Tomer is currently a Chief Trial Attorney with the Division of Enforcement at the U.S. Commodity Futures Trading Commission (Commission) in the New York office. Mr. Tomer represents the Division in enforcement actions that are filed in the United States District Court. He has successfully prosecuted and negotiated settlements relating to a wide variety of actions, including matters sounding in manipulation, fraud, and trade practices. Mr. Tomer regularly represents the Commission in actions and investigations related to cryptoassets. He is also the Division’s representative for the LabCFTC FinTech Liaison Group. Mr. Tomer is a graduate of Washington & Lee University School of Law.